As long as he's not doing it here. Ja, I could easily sit there a couple of days smoking a ‘pipe’ with Ole! 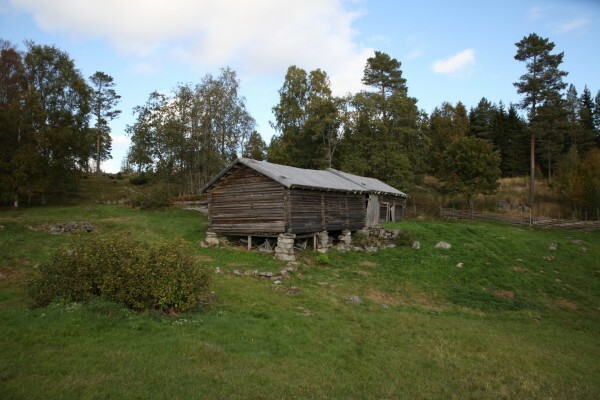 The Luossa cabin where poet Dan Andersson lived with his family 1912-1915. Here you today find his worktable, his bookcase and his guitar. 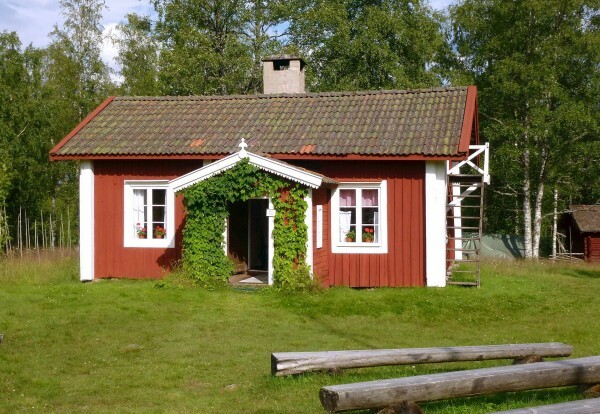 Luossa-stugan where Dan Andersson lived with his family 1912-1915. From Luossa came a beggar singing to the village folk. Come to us, for earth below is not the kingdom that is thine!" I have dreamed that the wildest seas were calm and still. Where the dearest we have known we´ll know no more. Then we played at elk and lion, beggar, God and butterfly. Loudly was my own heart shouting, "What you own there is not yours!" And my spirit drove me onward to find peace. And my rightful way leads high to wonders there. Where the sea is slow to slumber in its peak-encircled bed. In a gold-besprinkled vapor, in rose-tinted mantle clad. Suffered, restless, unbelieving, suffered from my burning heart. There in slumber, vagrants perish and all weary souls find peace. Under arches where forever cherubs of salvation dwell. You can count on Marlow to deliver the goods, here and on L'Equipement de l'Alpiniste 1900. 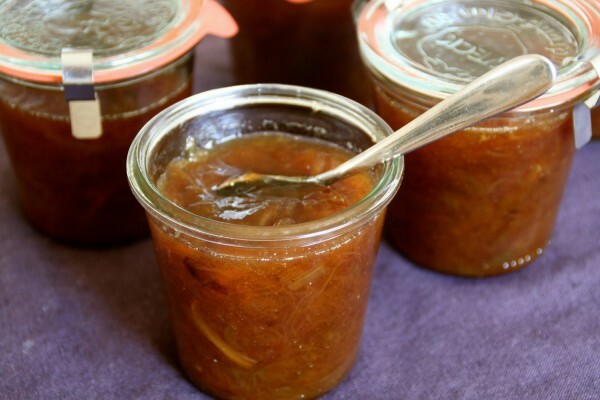 Coincidentally, making marmelade today - but not Marlowmelade. Or Moosemelade. Or Mousemalade. "Anytime I can disappear. Such is the wanderer. Now I'm here, and in the next moment I'm there. I get on my feet, put the rucksack on my back and start to walk. That's all. The poor can live this way. All I own I carry on my back. The clothes on my body, the knife in the belt. The stone of flint and the bowl for food, the sheath of horn, the bag with salt. Altogether, they weigh almost nothing. I'm quick and nimble on the foot, before anyone misses me, I'm over the next river valley. I leave no traces. Not more than any animal. My feet are stepping on grass and moss, and they immediately rise again. When I make up fire, I use old bonfires, my ashes lie down on others' ashes and in this way become invisible. My necessity I do in the woods, I fold up a turf and put it back in place afterwards. The next walker can put his foot straight on it without noticing, only the fox can sense a weak human odor. During the winters, I leave ski tracks across the soft sky of silky snow. I float four feet above the ground, and when spring comes, all the traces melt. Man can live this way. Without really being there. Being just like the forest, like the summer foliage and the falling leaves of autumn, like the mid-winter snow and the countless buds at spring. And when you finally leave, it's like you've never been here." 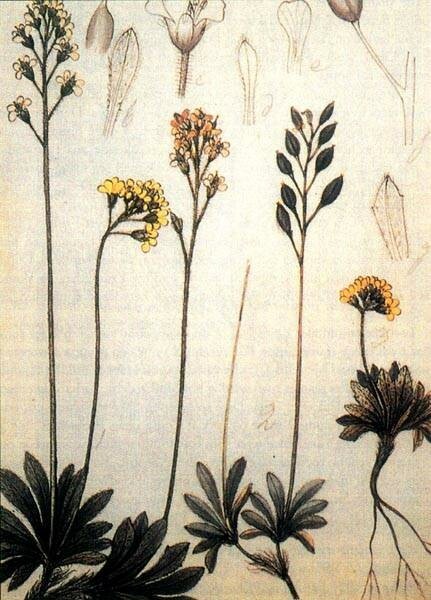 Draba Alpina. Drawing by Lars Levi Laestadius. 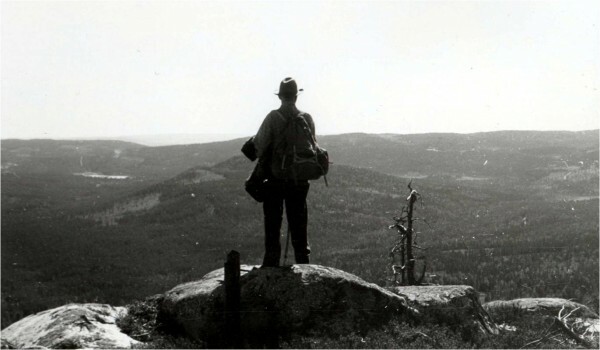 Nitahå-Jussi is said to have been the last wanderer at Finnskogen. He knew the woods well and took a job where he found it, when he needed it. He lived and worked for a while in the US, but returned to Sweden to take over the farm after his father's death. 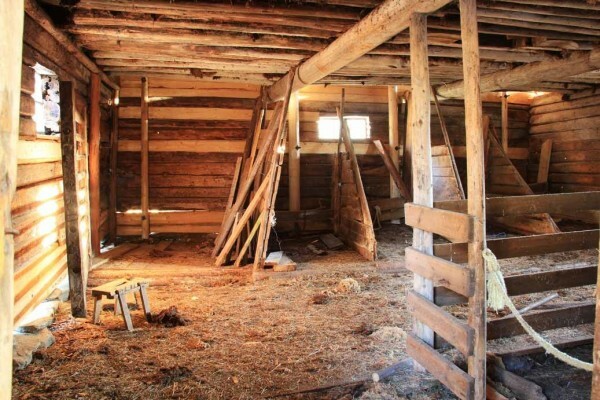 Someone had illegally taken the farm and years of juridical trouble started. In the film "Finnskog and trollskap" we are following Jussi. The film made him "famous", as did the book that was written about him. The book carried his own name. He was still active as an old man - as you see from the pictures below. I think he's in his 80's. The film "Finnskog and trollskap" has finally reached dvd and is now to be bought. 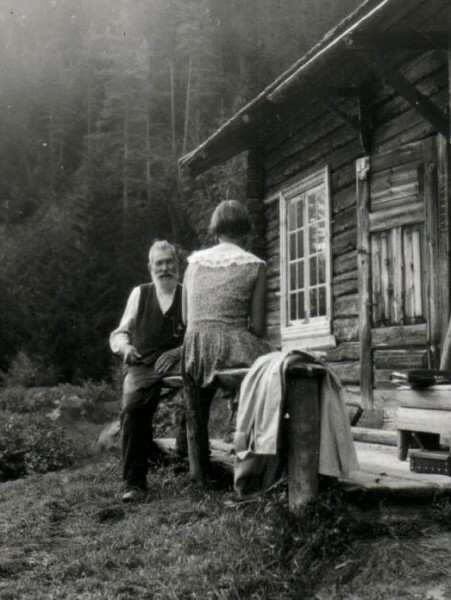 In the film is also my great grandfather on my father's side - Laurits - a man worth his own film. "These woods are my woods, though I do not own them." I may have to eat raspeballs later. In Sweden, the migration of the Forest Finns was at first masterminded and encouraged by the kings, notably Charles IX (reign: 1604–11) and Gustavus Adolphus (reign: 1611–32). They did so in order to make the vast border areas of the North, East and West of the kingdom inhabited. 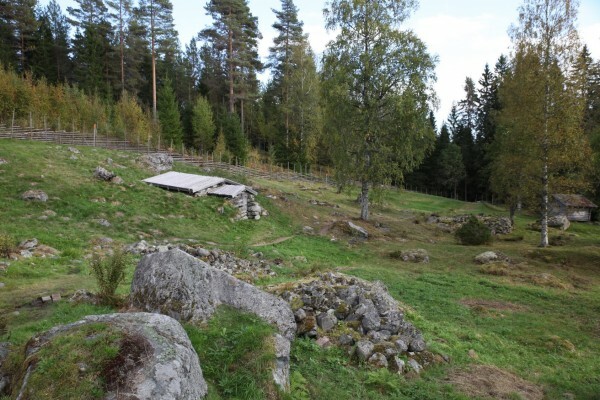 Among attractions offered for the migrating Finnish farmers in Sweden were seven years total exemption of all taxation and the prospect of ownership of large fertile plots of land. The situation would change as an emerging, but primitive, iron industry was growing in the beginning of the 17th century, smelting was powered by charcoal. 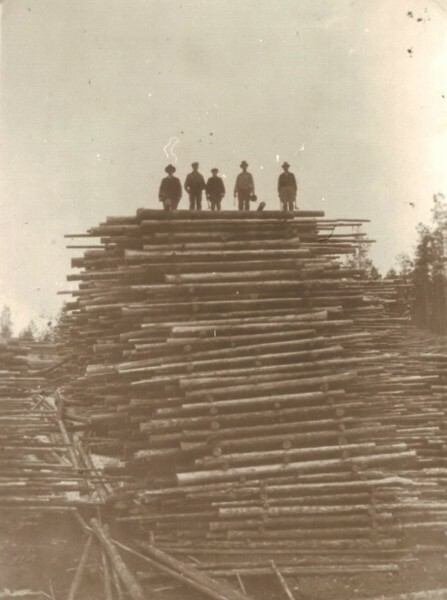 The Forest Finns with their demanding slash-and-burn agriculture were suddenly considered an economic threat by increasing the cost of charcoal by burning off now valuable timber. 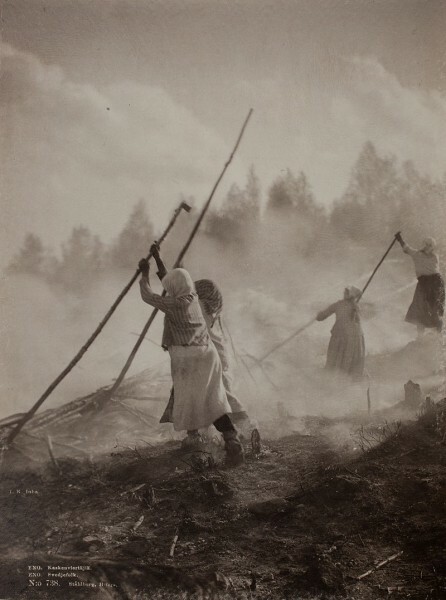 The burning of the forests was officially forbidden in 1647 and the Finns were obliged to support the iron factories by providing charcoal at an artificially low price. 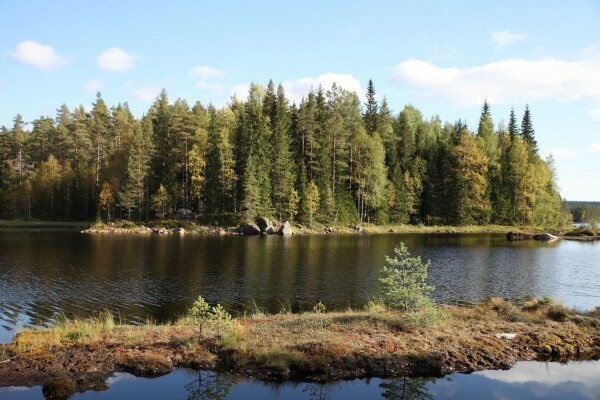 By the end of the 18th century, a large part of the descendants of the Forest Finns had become culturally assimilated into the Swedish mainstream population. 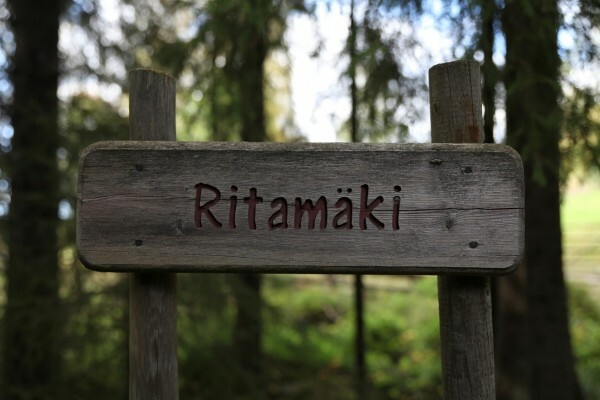 During the previous two centuries, various laws and regulations had been passed to speed up the "Swedification" process of the Forest Finns, including total banning of the use of Finnish language. 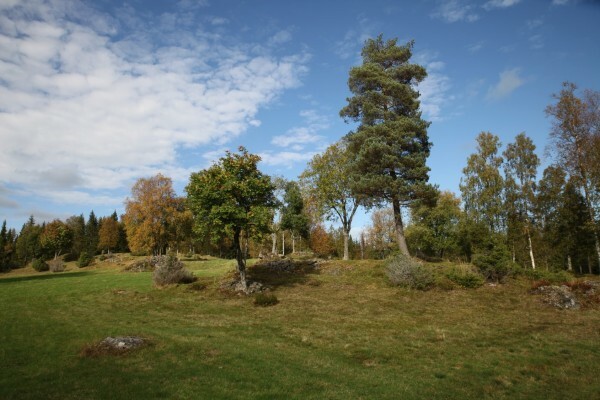 During the reign of Christina, Queen of Sweden, a proclamation of 1646 called for the burning of houses of all those Finns who did not want to learn Swedish in the area that was later to be called Sweden Proper, west of the Gulf of Bothnia. Reading books written in Finnish in some cases led to imprisonment still in the 18th century. In Denmark–Norway (Norway was then part of a union), the situation was somewhat similar. The Dano-Norwegian authorities in Copenhagen were allegedly in favor of the de facto immigration and their slash-and-burn agriculture due to the relatively high yields of rye production, compared to traditional Norwegian staples. 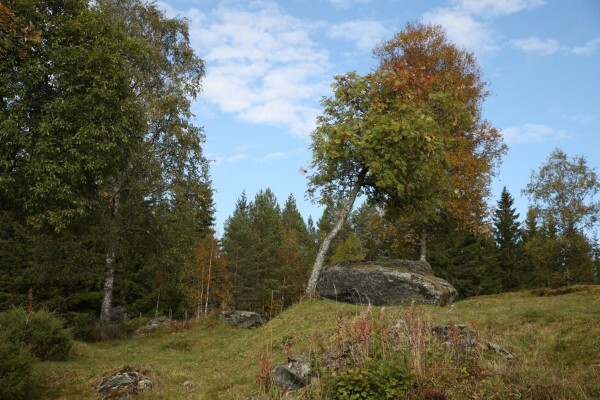 However, from the middle of the 17th century the locals communicated their dissatisfaction with the newcomers, and in 1648 King Frederick III issued a "decree on the Forest Finns" (Norwegian: Forordning om skogfinner), an ultimatum which provided they either return to Sweden or accept the same taxation as the native Norwegians. Despite new legislation by 1673, immigration continued, and by 1686 the authorities responded by arranging the Forest Finn Census (Norwegian: Finnemanntallet) – at the time probably the most detailed census in Norway. It not only included men, but also women and children of the Forest Finn population. 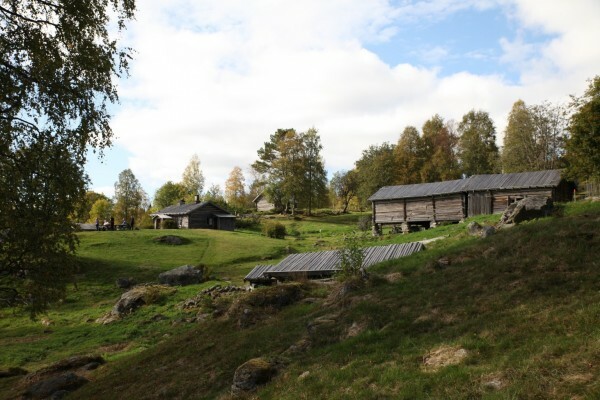 The 1686 census still exists and provides valuable information about the extent of the immigration to Norway at that time, and a total of 1,225 people (including 160 of mixed Finnish-Norwegian descent) were accounted for. 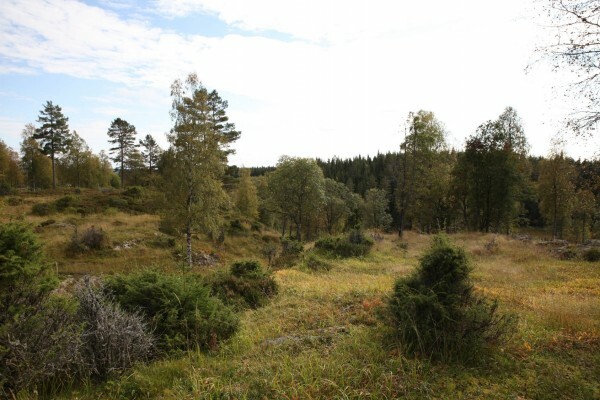 Furthermore, most of them were in fact second or third generation descendants of immigrants from Savonia. 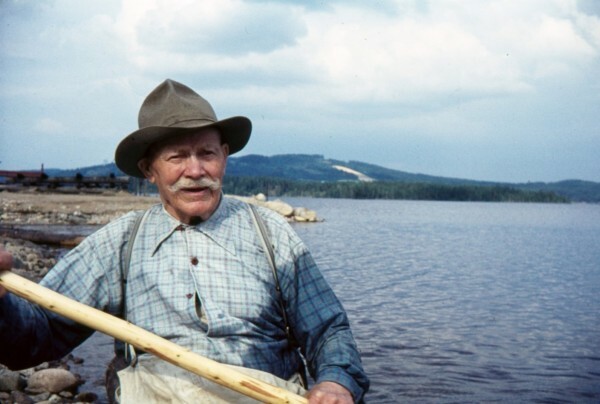 An old Estonian legend tells us: "On the shore of a lake a poor man once chopped a log of alder tree. Suddenly the axe jumped off the shaft and sank in the water. The man searched for it on the bottom of the lake and at last he thought he had touched it. He jumped into the water and searched where he meant he had felt the axe, but he could not find it. He dived several times and explored the bottom – but no. Very sad he went back on land with tears in his eyes observing the lake where he had lost his axe. He then went home to get another axe. The forest owner was very rich, but greedy and very angry. 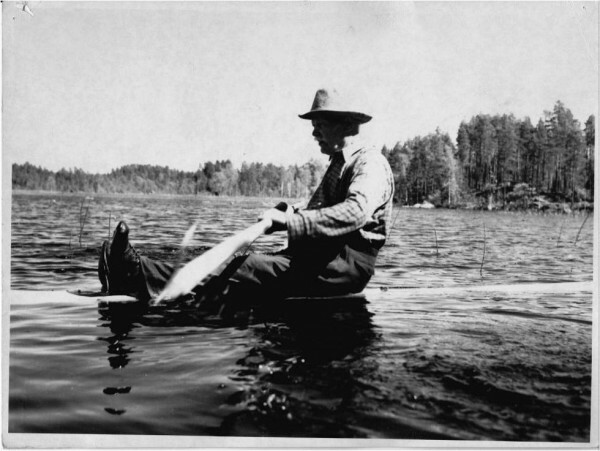 He said: - If you have thrown the axe into the lake, then you have to cut the log with your hands or however you want to do it. 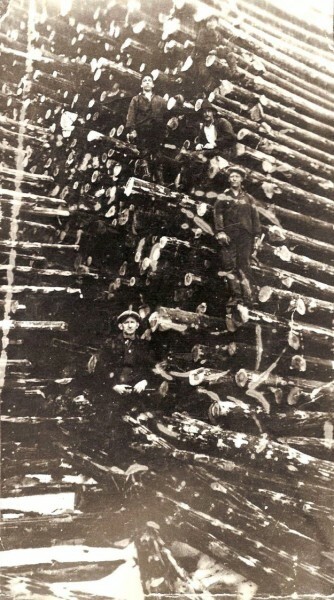 A stable of wood shall be put up before the evening. If not, you don’t get your wage! The man returns to the beach and continues his search diving many times, but - no. What should I do? He mourns and sits down on the ground. Now I have no axe and I get no pay! My wife and the children will have no food tomorrow! Hardly has he said this, before he hears the sea starts bubbling and foaming and he sees an old man with a large grey beard comes swimming towards him. The man is afraid, but the old man raises from the water and asks: - Why are you sorry? The woodcutter tells the story and complains about his bad luck. The old man answers - This I know. But wait! I will search for your axe. He disappears into the water and returns with a copper axe in his hands, shows it to the man and asks: - Is this your axe? - No, answers the man. The old man dives another time, and now he is brings up a silver axe, shows it to the woodcutter and asks: - Is it this one? - No, the man answers. The old man dives a third time and comes up bringing a golden axe. He asks: - Then it must be this one? - No, the man answers. Again the old man dives and now he comes up with the man’s real axe. The man reaches for it with great thankfulness. The old man also gives him the other three axes, the one of gold, the one of silver and the one of copper. Then the man finishes his work. In the evening he tells his greedy master about his good fortune. His master thinks: - You only wait! You did not understand to take the precious things, the old man had to force them on you! – I will handle this task better! He brings three axes with bad shafts to the lake and starts cutting trees. The first axe jumps off the shaft and into the sea. Then the second axe and the third. He then walks up and down the beach, regretting loudly, until the old man from the water appears and asks about the reason for his grief. Then the old man dives into the water and comes up with three golden axes and asks: Are these your axes? Yes, they are mine! The answer comes very quickly, and the greedy man stretches out his arms to receive the axes. But suddenly the water is boiling up and foam is flying into the eyes. At the same time the old man disappears and the water is suddenly quiet. Not a single wave is moving. For a long time the man keeps sitting on the beach nearly in panic. Not a sound - nothing to see. Ashamed and sorry that he lost the three axes he at last walks home. During the rest of his life he never again returns to the beach"
Individualism was an unknown phenomenon in this society. The complex cultivation cycle consisted of a variety of carefully synchronized tasks, performed by individuals in an intimate partnership. This interaction should be so well established that the individual fits into the community. These sophisticated procedures are not well performed by outsiders, and are in the older literature often characterized as religious rituals, without being given any practical significance. Only rarely have outsiders been able to understand the functional correlation. Swidden cultivation depended on the different procedures being correctly and synchronously executed. Incorrect procedures were disastrous, and could not be accepted. Religion was strings of knowledge about the world, a communication process where the knowledge is kept alive through constant use, and new knowledge is developed and displaces useless routines with new rituals. The code was ruled by the forest, air and water spiritual supernatural beings. Skogsråa / wood nymph, giants and dwarfs lived in the underworld (allima), and they were given three functions: to help those people who respect and appreciate the forest spirits, punishing those who break the rules of the forest, and to remind that in the forest you are not the boss, you can not act arbitrarily. Similarly, the air (taevas) and water spirits, (jumal) were both helping and punishing.